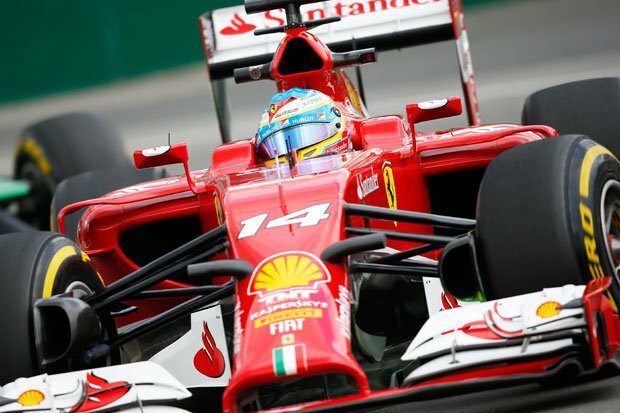 Former Chairman of Ferrari Luca di Montezemolo says Fernando Alonso will leave Ferrari after revealing the driver wants to experience “another environment”. The Spaniard has yet to decide where his future lies and reports claim he has agreed to terminate the last two years of his contract with the Italian manufacturer. After confirming he will severe his association with Red Bull come the end of the season, Formula One World Champion Sebastian Vettel agreed to sign for Ferrari and is widely expected to take replace the 33-year-old Alonso. Di Montezemolo stepped down from his position as chairman in September and insists Alonso must seek greener pastures should be want to reclaim his status as world champion. Alonso won back to back Championships in 2005 and in 2006 nut has finished runner-up to Sebastian Vettal in three of the last four years.Earlier this month reports surfaced that Alonso would be leaving Ferrari after four years at the end of the season to join McLaren-Honda. Lewis Hamilton leads the table with teammate Nico Rosberg while Alonso currently sits 6th in the standings.